LG’s take on fitness trackers, the Lifeband Touch, is now available at Best Buy in two sizes for $149.99. First announced at CES in January, but then seemingly shelved for months, the Lifeband Touch does everything you would expect a modern day fitness tracker to do. The Lifeband Touch tracks steps, distance, and speed, along with workout run time, calories, pace, climb, and activity vs. inactivity. It’s capable of showing you notifications for calls and text messages, has media playback controls, and is manipulated through its 0.9-inch OLED touch display. It does not track your heart rate, but is compatible with a number of heart rate monitors. 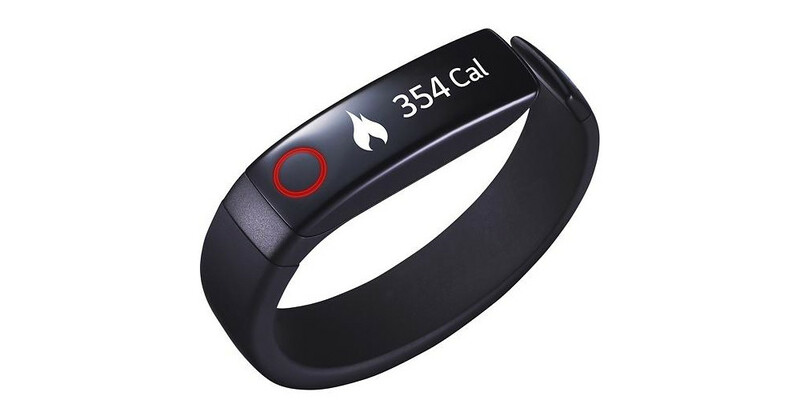 From a spec standpoint, the band includes Bluetooth LE support, compatibility with LG’s fitness app, has a 3D accelerometer, water-resistant design, and a rechargeable battery that lasts 2-3 days. The Lifeband Touch is compatible with most Android devices running Android 4.2+, unlike Samsung’s wearables (Gear Fit, Gear 2, etc.) which only work with Samsung devices. Best Buy has both the medium and large sizes of the Lifeband Touch available.